The menu Degustation Menu Fioraso is unavailable at that date. Chef Gio Renzo Fioraso is unavailable on this date. 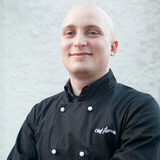 Check chef Gio Renzo Fioraso's calendar. Chef Gio Renzo Fioraso is unavailable in this city.